1978 & 1979 Camaro RS Rally Sport was full of flash. They were appointed with many options standard to Rally Sport. 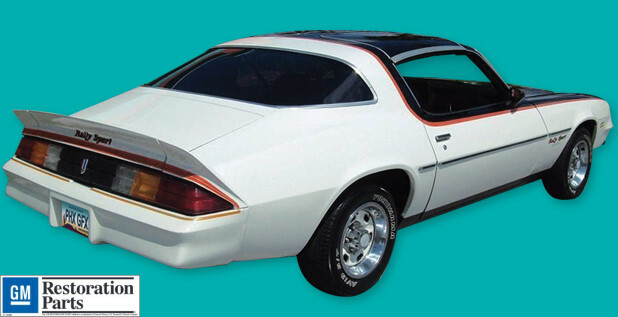 Their two-tone paint treatment made them noticeable and with the Rally Sport names on the fenders and back spoiler there was no mistaking just what Camaro this was. Don't be left behind without a complete set of inexpensive, OEM factory licensed quality stripes and decals. This kit is correct for both metal and plastic bumper vehicles.